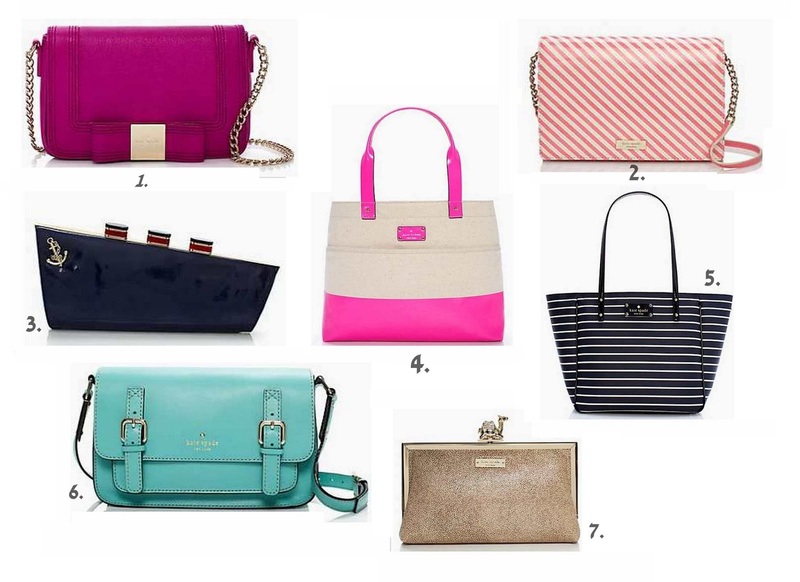 Kate Spade – surprise sale!! 2. Ocean Stripe Drive Vionette ($79) – This is darling. Comes in black/creme, too, which makes me a lil dizzy. 3. All Aboard Ship Clutch ($139) – My mom loves this. 5. City Stripe Sydney ($119) – I have this and adore it. Love, love. 6. Essex Scout ($149.99) – Also comes in brown, citron yellow & orange. 7. Queen of the Nile clutch ($129) – Love it. 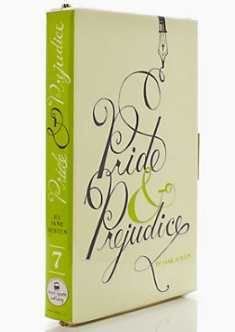 The Pride & Prejudice book clutch ($99) is included in the sale, if you’ve had your eye on that. Kate Spade’s surprise sale is good thru Wed, 5/15. Be sure to enter an email address for Kate Spade Saturday at the bottom of the screen. It’ll save you the $5 shipping cost. Sales are final. Gigi, thanks for sharing. How do ks tops run relative to j crew perfect shirts? Hi – I've never tried a button down, specifically from Kate Spade. I'm not even sure I've ever tried on any of their tops or sweaters. I do know that KS tends to run a little on the smaller side. The fit generally flatters a figure with a narrower waist than hips. Unlike my shape which is more straight up and down. I looked online for a size chart and I'm not finding one. Good luck if you decide to try. Remember sales are final. Anonymous-I wear the same size in my JC Perfect Shirt for Kate Spade tips. Same with JC sweaters. HTH! Thank you! I always get her e-mails way late. I got the anchors bracelet that sold out last year. Wonder where the extra stock came from? hmmm…Fingers crossed that the order actually goes through! Melodie – If you ordered early, it will likely go. Some of these items are ks factory. As Audreybella stated, I haven't noticed much difference between retail & factory on many of the handbags. I think the quality difference is more noticeable on the graphic tees and *some* of the handbags, but not much in the handbag dept. I've seen some of these at the outlet, not all though. I highly recommend the Queen of the Nile Clutcj. I used mine throughout the Holiday season as well as some date nights. I LOVE it! Audreybella – Thanks for chiming in. So glad to hear you like the Nile clutch. I saw it in retail and figured never ever. But at this price I had to. Complaints that it's a little big for a clutch, but I like that. Oh – so frustrated! They are not allowing shipping to Canada on this sale! Boo Kate Spade! Oh thank you for this post! I need to get over there now. I've noticed in the descriptions for most (if not all) items included in this sale that they were made for Kate Spade Outlet stores. Any idea about the quality difference? I always thought KS Outlets were "true" outlets with overstocks/out of season KS stuff. AppGal – My KS Outlet has a lot of overstock. I recognize a few items in this sale, mostly the clothing, as well as a few bags. I've not seen any difference in quality between either. Good to know! Thanks. The few times I've been to an outlet I couldn't tell much difference either, which is a good sign. Ford, nice!! I think the book clutches are so cute. None of the titles are my favorites, but I have the dictionary wordsmith. Got the Essex Scout in that beautiful Caribbean color. Noticed that you couldn't use Ebates with this sale. There is like a separate website for this sale that is not tied to the main website (or at least I couldn't figure it out). Sneaky, Kate Spade! Oh well. ps AppGal I love the Essex. Great color! AppGal – I don't think you missed a trick to get thru Ebates. I had the same issue. It's a secret surprise sale. You definitely have to click thru the surprise sale link. Laura – lol I got the all aboard clutch for my mom for her birthday (Oct) or Christmas. Now I just need to write a note to myself to remember when the time comes. Yes, I still handwrite notes. I too bit on the P & P clutch. Anyone know if these items restock before the end of the sale? Did you end up getting anything Gigi? Definitely cute Gigi! I am sure I will love it as much as your mum does! Usha, I emailed her the link today and she still likes the all aboard clutch. Whew! lol We saw it together months ago. Oh, for you & anyone else reading, a KS rep told me the ship clutch is not a factory item. She said it was made special for the store, so perhaps they have a lot left over… ? I was not fussed if the all aboard clutch was factory but am pleased that it isn't! Also I think there are items on the site now that were not there yesterday – FYI to your readers! I'm drooling over so many items! Also loving the primrose hill bow bag as well as the city stripe sydney…and the Irving Place little Nadine…decisions, decisions. Usually there's only one or two things I have my eye on but there are so many great items in this sale. shopmurphy – This is a really good sale. I was surprised to like so many things. I also can usually narrow it down very easily. Oh I remember. We'll have to see if mine is successful or not, it better be since it's final. Oy, thank goodness they didn't bring out more stuff, I'm done for now. tiffany rose – lol That's how I ended up with my $300 meltdown. Only mine wasn't successful. I cut myself off last nite, but it's getting late again and resistance is getting weak. I plan on shutting the computer soon. injanuity – Oh no! 🙁 I'm surprised. I thought they kept a pretty good real-time count of their stock as it's selling during these sales. To anyone reading or subscribing to this thread. Either Kate Spade or Paypal botched my order. Looking for the all aboard ship clutch & queen of the nile clutch (camel kisslock). So far absolutely no luck looking for it w/Kate Spade. If anyone ordered during the sale and you end up not liking yours, let's talk. Esp looking for the ship cluth, which I want to give as a gift to my mom.